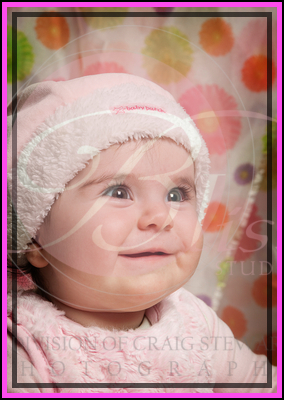 Little 7 month old Cianna has some of my favourite photos of 2010. 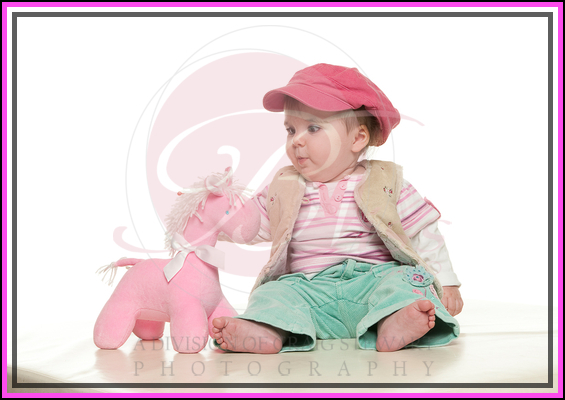 All of us at the office couldn’t stop smiling over the gorgeous baby photos she had with her little pink horse. 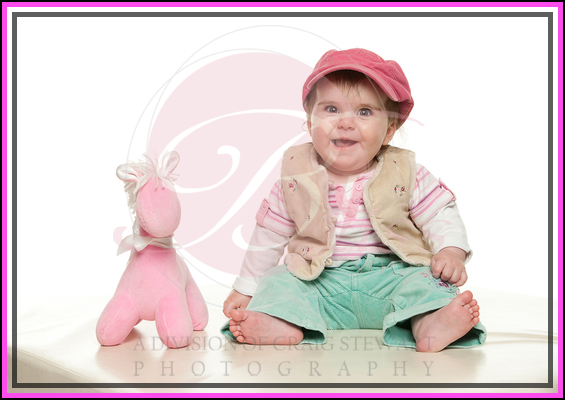 Cianna had such a bright smile and the cutest outfit it just worked out perfectly. 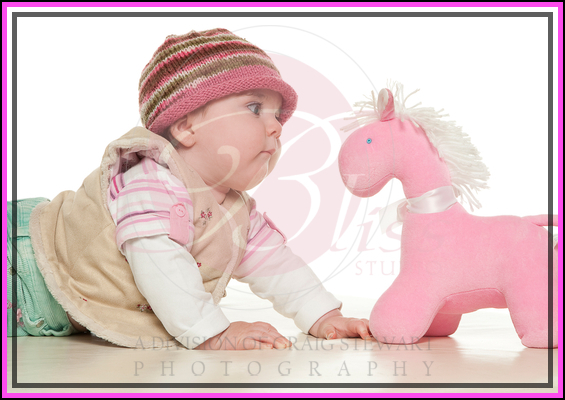 There is a whole series of fantastic photos with her horse and each one just builds towards a better story. 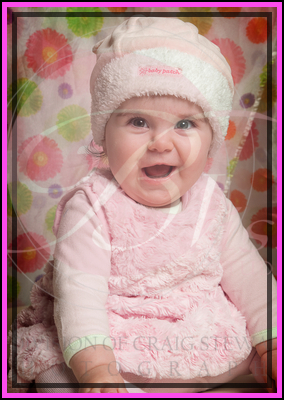 They were all so cute that her Mum and Dad decided to collate them altogether in one of our brag books which are perfect for carrying around to show family and friends your family portraits. 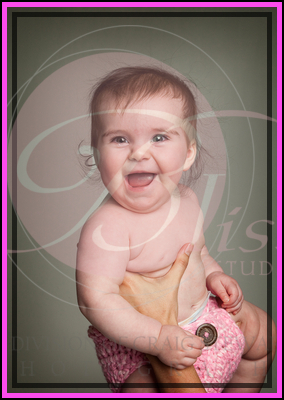 They are also very popular with grandparents who love the idea of having lots of little photos to show off their grandchildren. 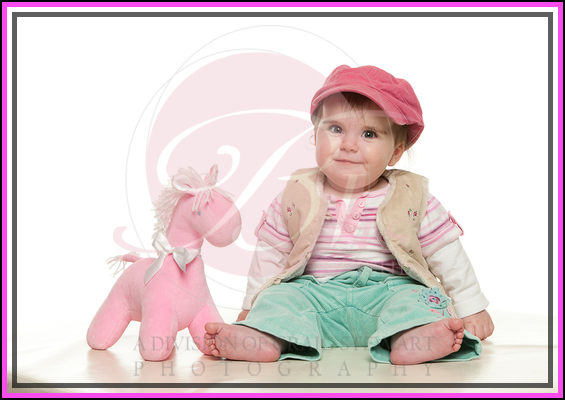 Cianna came with a series of gorgeous outfits and each one proved perfect. 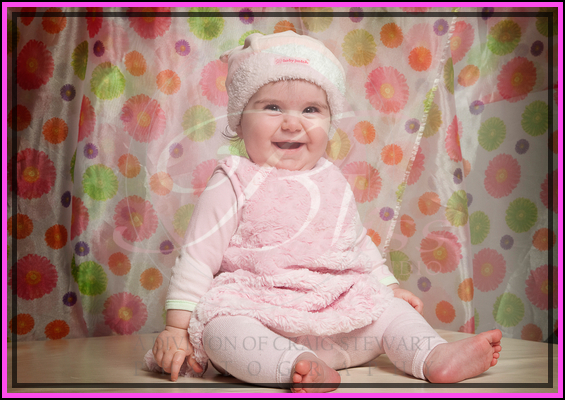 The little pink fuzzy outfit looks so cute against our flowery background. 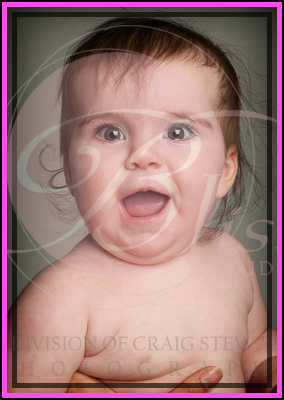 It goes without saying that for baby photos no clothes at all are sometimes the best outfit and from the gorgeous composite you can see Cianna has these wonderful long eyelashes as well. 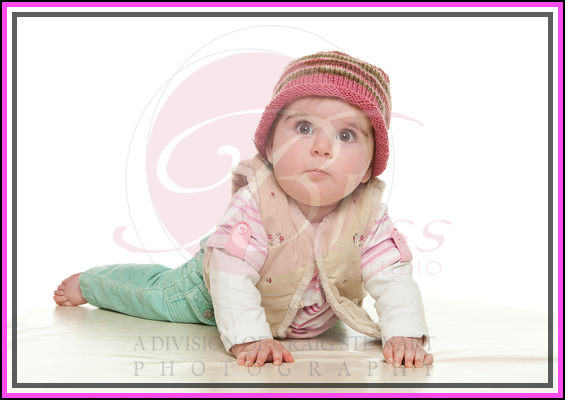 Thankyou Cianna for providing us all with such a wonderful series of photographs to look at. You are a super star! !